Announcements – Lincoln Nebraska A.A.
District 21 Presents – Pizza Party Fun Shop! Unity Picnic hosted by District 21! 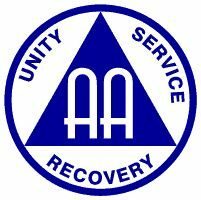 AA District 3 meeting – NEW Location and Start time! June Corrections Committee meeting Postponed. . .
Intergroup has started meeting on the last THURSDAY of the month, starting on January 25 2018. We will continue to meet on the last Thursday of every month at 6:30 at St. James Methodist Church 2400 S. 11th st.